Not long ago, on a trip to Miami, I sat in the Charlotte airport waiting for my connecting flight, thinking about the art and literature of Florida. As a reasonably well-read and cultured New Englander, all that came to mind were Carl Hiaasen, Karen Russell, Art Deco, and the Indigo Girls’ song, “Salty South.” I’m fascinated by the unique art each geographical location in the US produces. For one country, our regions are so distinct, so unto themselves, and while strip malls and box stores do their insidious homogenizing work, I continue to seek out the ideas, expressions, geology, landscapes, flora and fauna that define a region. 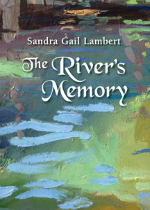 Reading Sandra Gail Lambert’s remarkable debut novel, The River’s Memory, I’ve found another name to add to my Florida list. Actually, novel isn’t quite the right word for Lambert’s book. A novel-in-stories, maybe. And instead of characters or plot providing the central component of the book, the unnamed river does. 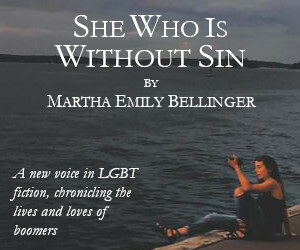 As a natural force, the river is unknowable, but the women who populate the stories in The River’s Memory are fiercely devoted to this body of water. These earthy narratives pull and swirl, effortlessly encompassing tribal, racial, familial, historical and ecological conflict. Each narrative manages to be both quiet and explosive. They cover topics as vast as tribal negotiations, sisterhood, Spanish flu, cancer, feminism and disability. The river guides and informs each story, altering and claiming each narrator in turn. And, of course, because the river is this novel’s main character, the river itself undergoes massive changes. Reincarnation lurks in the depths of these stories—never overt, but present all the same. Nothing is lost in the river, except perhaps innocence; the river remembers everything. Lambert’s language is evocative and poetic; most of her characters in the early stories are nameless (like the river), identified by basic monikers: Wife, Daughter, Tailor, Sister) and while this occasionally makes a scene difficult to follow, it also lends a mysterious resonance to the book. 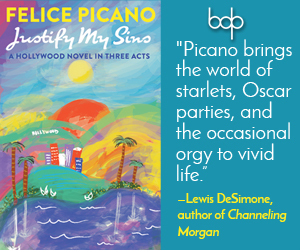 Each narrator—all female, all childless—is bold and well drawn, presenting her story in a way that invites the reader to dive in. The narrators are all native outsiders, and their voices entangle, like a chorus, to sing the story of the river, a story that might not otherwise get told. The River’s Memory is a lovely, evocative book. Beautiful and ferocious in equal measure—like the river, like all wildness—these stories are elemental and mythic in the best possible way. They show us the deep, unbreakable ties between the human and the natural world. Lambert’s unflinching and unsentimental debut is captivating; prepare to be stunned. Thanks for the review – this looks yummy.